I have been dyeing my hair since I was sixteen. I’ve been every single color that you can think of, from dark brown to pink and purple. I’m naturally blonde but at this point in life, it comes in a darker mousy blonde that I’m not really a fan of. So I lift it to a cool, icy, platinum blonde. Doing that leaves me with super dry hair. I have to have products in my life that will allow me to keep my hair looking and feeling healthy when it’s a bit compromised from dye or styling tools. 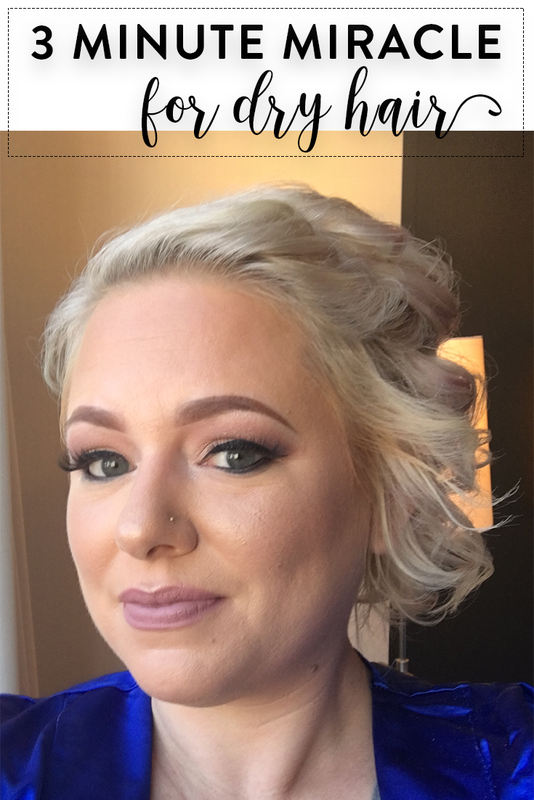 I’ve had the same 3 Minute Miracle in my life for years and I wanted to share some tips with you to keep your dry hair feeling soft, looking shiny, and easier to style. 3 Minute Miracle was introduced by Aussie in 1979, it’s tried and true. It quickly gained a cult following back then that continues to today. I’ve been using it since high school. Aussie has an entire array of other products designed to help your hair look great and help you feel great. I know for me, when my hair is at its best, I feel my best. 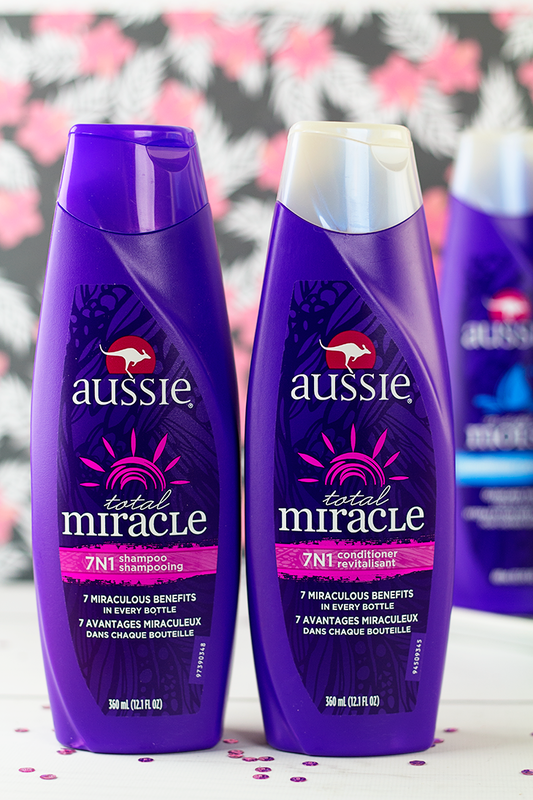 The Aussie 3 Minute Miracle Strong Conditioning Treatment is my holy grail when it comes to deep conditioning. I always do this after I color my hair, especially if my hair is feeling dry and damaged. Think of it like this, when your skin is dry you add a moisturizer and it’s the same with your hair, it needs to be moisturized. 3 Minute Miracle Strong Conditioning Treatment lengthens the life of your locks by helping to reduce damage. This is key for bleached hair. It makes hair 10x stronger against damage vs. non-conditioning shampoo. Whenever I run out or I’m not using this deep conditioner as often as I normally would I can definitely see and feel the difference in my hair. When I say my hair is super thirsty, I mean it. It’s crazy to me how dry it feels sometimes. So in addition to hair masks and deep conditioners, I like for my daily shampoo and conditioner to also bring the moisture in. The Aussie Moist Shampoo and Conditioner is my jam. 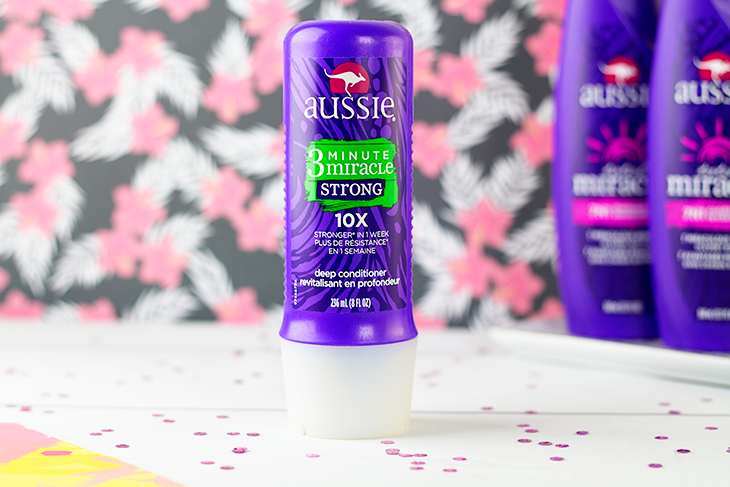 Aussie Moist Shampoo gives you moisturizing power while strengthening your hair. 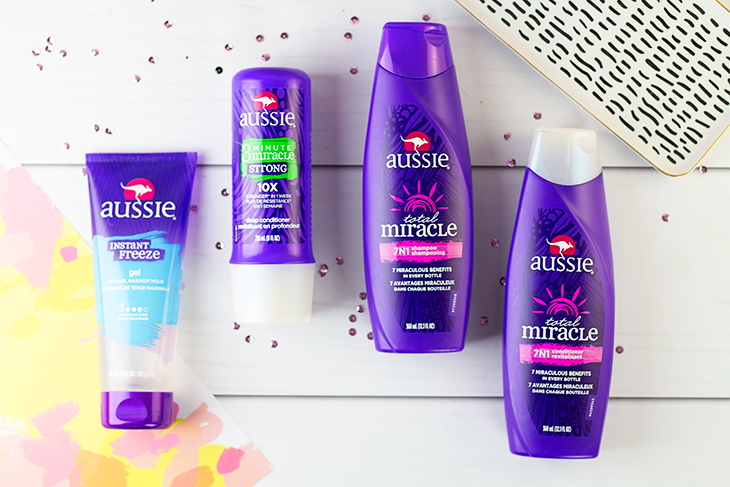 Aussie Moist Conditioner quenches thirsty hair in a flash. You’ll see instant moisture and shine in your hair after using this. I keep this and the Total Miracle 7N1 Collection in my shower because I sometimes like to switch it up so my hair doesn’t get used to any one product. The Total Miracle 7N1 Collection protects hair from damage, split ends, and humidity. This is perfect if you tend to get frizzy hair. With the conditioner, you get 7 benefits in 1 conditioner! Strength against damage, silky softness, split end protection, nourishing moisture, humidity control, brilliant shine and lasting smoothness. It’s fantastic. Let me know if you have any tips for dry hair! Be sure to check out Aussie products right here.